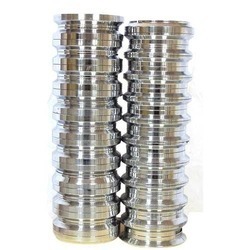 We offer high quality range of Roll Tooling Components. This range is backed by latest process technology support as well as latest fabrication standards so as to deliver in these optimum application. Our range is quality checked by our team of experienced professionals. This range can be availed at market leading prices. Deep rolling will increase the fatigue restistance in the corner radius and grooves. German best quality Thread Rolling systems. 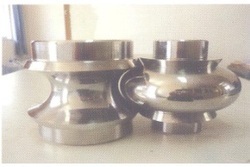 Axial type, Radial Type & Tangential type for Conventional and CNC machines. Working to save you time and money through innovative risk management technologies. Proper design and precise workmanship go into every set of rolls that we ship. We also replace tooling on any roll former - even if it is not a Samco product. Manufactured from heavy-duty tear resistant material with reinforced stitched edging. Two metal rings for hanging on to a wall when opened. 20 pockets, 18 elasticated tool loops are stitched on the inside. A velcro fastening secures the roll when shut. Rainbow Machine & Tools Co. Specialized in manufacturing and resharpening . Tool Tech Components Pvt. Ltd.